We’ve supported Real Escape Game in Singapore since it’s inception several years back, and they’ve never ceased to impress. Now into it’s 8th edition, they look set to wow us even further with The Last Garden, which appears to be their most ambitious adventure yet! Promo image courtesy of Vivid Creations. 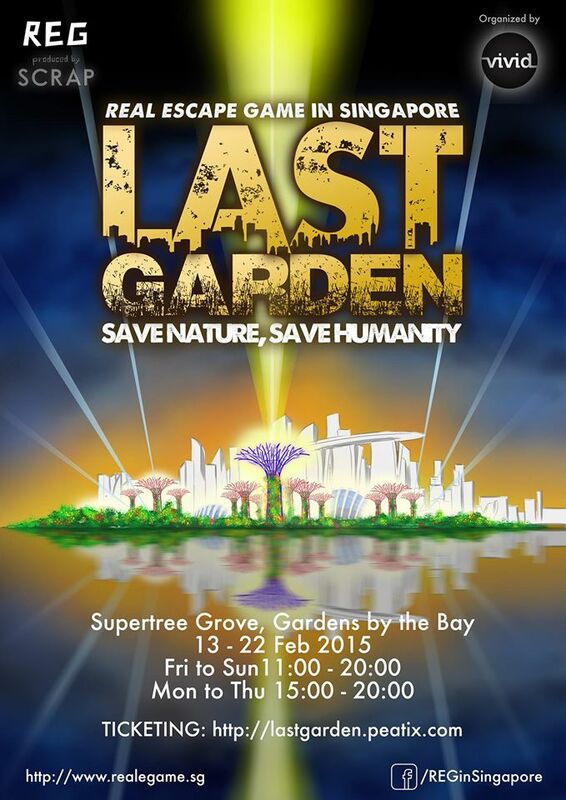 This time, the story revolves around a futuristic Singapore in the year 2065, and players are tasked with finding a legendary orb hidden in Gardens by the Bay to save humanity. Unlike previous iterations, players have free range of Gardens by the Bay, and no time limit from the venue’s opening to closing to play and solve the puzzles. What’s more, the timing is near perfect for a perfect for geeky couples on the Valentine’s Day weekend, and there’s a couples promotion to make this a date with a difference. We’re thinking of saving the date ourselves. If you’re a fan of Real Escape Games too, then this is definitely something to consider.